After having known many fashions and tendencies and while the art of the beard returned to the taste of the day, we very often forgot certain objects or the products which went with, even the techniques which were at the base of this ancestral art. For some, it has become the art of"the grooming" this literally means" delousing" This term has gradually become the one assigned to objects, tools and products for men's cleansing or around shaving and beards. If the term continues to be topical in many fields such as behavioural sciences or ethology, or in the veterinary world and more specifically in the pet world, it describes quite well this specific universe of male face care and cleansing. In this work, we try to take stock of both objects and products, essentially for the sake of memory. It is not a question of addressing the cultural or societal aspects of wearing a beard or moustache. The ambition is more specifically to see the technological bases and/or the formulation of these objects and products which have now passed into the public domain, after having long been the prerogative of confirmed specialists. But eventually, if this could lead to suggest some reissues, why not!!!! Shaving is a temporary hair removal technique and care based on the use of a razor. In men, shaving most often involves the facial hair and sometimes the chest, pubis, armpits or even hair when they are very short. Since primitive times, shaving has been an important cultural practice. Prehistoric cave paintings show that men already practiced shaving by scraping the hair with stones, flint, shells like clam shells and other sharp natural objects. Neanderthals removed their hair by tattooing. The first razor blade was invented around 30,000 BC. The" flint "was a sharp flint object with which men carved their beards. With the advent of the Bronze Age, humans acquired the ability to forge simple metals and began to make razors from iron, bronze and even gold. Around the 3rd millennium BC, when copper tools first appeared, humans designed metal razors. The first depictions of men without beards can be found in the time of the first Egyptian dynasties. The complete shave of the whole body was associated with an obsessive search for hygiene and testified to beauty, youth, cleanliness and status. 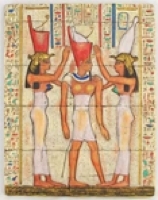 So the ancient Egyptians started shaving their beards and their heads. The ancient Greeks were a bearded people. For them, it was a sign of virility and wisdom. Indeed, according to Plutarch, when a young boy began to have a moustache, it was customary to consecrate the first beard to the God of the Sun Apollo at a religious ceremony. On the other hand, the Greeks could cut their beards only during periods of sadness and mourning. Cutting another man's beard was a serious offence punishable by a fine, sometimes even imprisonment. Among the Spartans, shaving half a man's beard indicated that he had shown cowardice during the battle. In contrast to their Greek cousins, the Romans were shaved closely. A young man's first shave was an important event in his life and ritualized at a religious ceremony. Among the Romans, shaving was considered a symbol of youth. On the German borders of ancient Rome lived barbarian tribes whose chiefs wore imposing beards. The ancient Romans, for the most part unberbs, were fascinated and frightened by these Germanic beards. Among the Franks and the Germans, it was customary to shave a fallen king or prince and undo his beard. Shaving meant shame and humiliation. In Macedonian times, the beard was a symbol of wisdom. The wearing of beards was reserved for philosophers and elderly men. Alexander the Great forced shaving in order to avoid the seizure of the beard by an enemy in combat. Shaving the beard of a submissive enemy could also be humiliating for some religions. In India, while the wearing of the beard was the norm for many sects, some practiced a first shaving ritual similar to the Romans. According to the Grihya will know a collection of ritual texts describing the rituals that men had to practice, a boy was to receive his first shave when he reached the age of sixteen. Known as the Godanakaruman This first shaving ceremony was performed by a hairdresser. The face as well as the head had to be shaved clean. Whereas it was customary among ancient Jews or Muslims not to shave, the acceptability among early Christians of a waxed and maintained beard became the rule. The religious world will set an example with monastic practices that consisted of shaving one's face and hair at regular intervals. In late medieval Europe, the wearing of beards fell into disuse. In the Middle Ages, the profession of barber-surgeon appeared. This followed the church's condemnation of the practice of surgery. The doctors, most of whom were members of the clergy at the time, could no longer practice it, and it would be relegated to a lower rank for many years. This ban on the practice of surgery by doctors will lead to professions such as toothpulling, fairground traders or barbers to perform small surgical procedures. The term"barber" at that time refers to three different professions: - the barber, the one who has the right to keep a shop to shave and who has as his sign white basins with this inscription ". Céans, we make the hair clean and we hold baths and ovens ”. 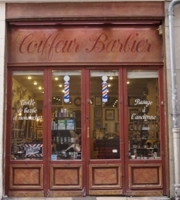 (Dictionnaire de Paris de Hurtaut : 1779) ; - the barber-wigmaker, the ancestor of the current hairdressers, who exercised his talent only on the princely heads and belonged following the servants of great houses ; - the barber-surgeon, in charge of small surgery, teaches yellow pools. This situation lasted until a distinction was made between so-called"long dress" surgeons, who now had to pass an examination in front of their peers before practising, and so-called"short dress" or barber surgeons, who were only responsible for minor operations (13th century). 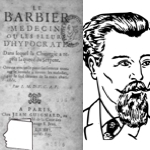 At the beginning of the 18th century, the professions of barber and surgeon were still close, all the more so because they had built common practices and discourse based on the use of high-tech instruments and humoral theory. Being the only ones equipped with adequate blades and qualified to use them, the barbers were the doctors of the small people and performed a rudimentary surgery on all, certainly, but the only one that existed. Most of them are just bonesetters. The aggregation between the different businesses will follow fluctuations linked to a whole series of factors, both economic and regulatory, but little by little, the different businesses will distinguish themselves. From then on, barbers gradually became specialists in shaving and hair treatment. A barber is a person, usually a man, whose job consists in maintaining the hair and facial hair (beard, moustache, tail, etc.) of men. The wearing of the beard, or the shape of it, has therefore always had a socio-cultural significance. The manner in which the beard was worn was generally not a matter of free choice so. Thus was the world, bearded or beardless cahincaha, until the nineteenth century. This is generally the time when"modern" shaving will make its appearance. In 1900, most men were still shaved periodically either by the local barber or at home when needed, rather than regularly. The barbers had a"kit" of razors for their most loyal customers, labelled"Sunday to Saturday" and used only one razor per day. We called it the weekbook. Home shaving appeared at the beginning of the 20th century with the appearance of safety razors and pogonotomy. It will gradually become widespread. It will follow fashions and especially technological developments in shavers, which will become increasingly efficient and safer. The products accompanying shaving will follow a similar evolution, gradually moving from beard soap to more and more sophisticated proposals. Nowadays, wearing a beard in Europe is generally a question of fashion trends. Shaving a certain shape or shaving and maintaining more intimate areas are an integral part of our daily hygiene, care and comfort. Today, virtually all men shave or maintain their beards every day in their own homes, using a wide variety of objects or products. The products become little by little the objects of a routine of beauty in the same way as for the female gente. In the meantime, they themselves have converted to shaving certain parts of the body. Some even claim that shaving could have anti-aging virtues!!!!! Nowadays, the wearing of the beard has undergone a real renewal through the movement called"hipsters". It is an Anglo-American term that appeared in the 1940s, originally referring to jazz lovers. Since the early 2000's,"hipster" has again been used to refer to an individual who has not adopted certain consumerist and socio-cultural habits, distinguishing himself by a clothing style, an anti-conformist attitude. Wearing a beard is one of its distinctive signs. Not all bearded people are"hipsters" and next to this movement, the art of shaving remains very present and often results in very individual practices. The renaissance of barber shops in which men come to be shaved completes this evolution. Nowadays, there are many ways to express your choices through your beard. Trained as a biologist, Jean Claude Le Joliff was an R&D man for many years. Successively in charge of R&D, then Research and Innovation in a large French cosmetics and luxury group, and after an experience of creating a research centre (CERIES), he turned to innovation management. He has also been an Associate Professor at the University of Versailles Saint Quentin (UVSQ) and remains a lecturer in several specialized courses: ISIPCA, IPIL, ITECH, UBS, UCO, SFC etc. He is the founder of inn2c, an R&D and Innovation consulting company. Consultant for several international companies, he has actively participated in projects such as Filorga, Aïny, Fareva, and many others. He created the Cosmétothèque®, the industry's first conservatory of crafts and know-how.